President Yoweri Museveni has made it clear: In Uganda, gay is not okay. 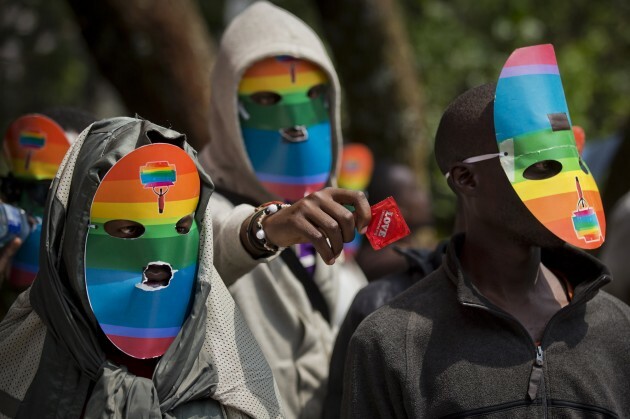 Homosexual acts are already outlawed in Uganda, like many other African countries. The bill originally included a death sentence for some acts, but the U.S. and others threatened to withdraw their aid to the country. Apparently, Museveni is unafraid that the new law will have any serious ramifications. But can Uganda really survive as an isolationist country? In 2012, USAID sent more than $200 million to Uganda. These funds have a critical role in providing support to the country, including 400,000 antiretroviral treatments. But Uganda has plans to hit it big in oil come 2016, and the African country is an ally in the fight against al-Qaeda, contributing a large force of peacekeeping troops. The decision to cut relations isn’t so easy for a White House still concerned with a growing militant Islamic influence. According to Ronald Kibabu, a taxi driver, the new law won’t hurt Museveni at home. “There is no scientific justification for prejudice and discrimination, ever. And nor is there any moral justification. Nazi Germany and apartheid South Africa, among others, attest to these facts." What should President Obama do? Can we afford to cut ties with Uganda?